Vary the stale format of the vocal recital and all sorts of new doors open for performers and listeners alike. The only downside, as became clear at the Wigmore Hall last night, is that the audience may hear less of a stellar soloist than they ideally wish. In the latest episode of her residency there, Dame Sarah Connolly melded words spoken and sung into an event that orbited around the twin suns of music and literature. The actor Emily Berrington read – above all, from the diaries and letters of Virginia Woolf – while Connolly sang, and that supremely versatile accompanist Julius Drake signed his own commentary in the piano parts. While artfully designed, and never less than engaging, the format of the evening meant that Dame Sarah’s sumptuously assured and flexible mezzo-soprano felt hemmed in at times – denied the chance to bloom by a fragmentary and multi-focal programme. It sounds contrary to chafe at the artistic limits of the standard-issue recital but then grumble at efforts to refresh it. Here, however, commendable innovation seemed occasionally to stand in the way of the voice around which the whole show had to turn. The motif of women under threat, both internal and external, ran through the programme. It began conventionally enough before pushing into the terrain of a music-plus-words variety act. Connolly sang Zemlinsky’s Six Songs from poems by Maeterlinck with a shrewd grasp of the uncanny folksiness that makes them such a bewitching amalgam of the familiar and strange. Written in 1910-1913, these sinister tales of young women menaced or forsaken glisten with all the fairy-tale decadence of fin-de-siècle Vienna. At the same time, something in these bittersweet harmonies looks not just sideways to Mahler and Strauss but on to the cabaret sophistication of the Weimar era. Connolly painted these pieces with a suitably dark palette, showcasing the formidable power and precision of her middle range while leaping from time to time up to bright top notes with a consummate control. The lyrics that tell of Zemlinsky’s lost girls evoke a vulnerability that, you might argue, Connolly’s magisterial delivery never quite conveyed. Then, in Schumann’s late setting of five poems supposedly penned by Mary, Queen of Scots, the regal splendour of her voice inhabited a persona that suited it down to the ground (or up to the crown). Schumann composed these brief, haunting songs in 1852 after the protracted hell of his breakdown. They draw on lyrics that (with one exception) the Queen of Scots probably never wrote, but which Romantic-era fantasists put into her mouth. Uncluttered, almost naive in their harmonies, Schumann’s settings glow with a mingled tenderness and defiance. Connolly shaped them into a moving portrait of a woman stretched by loss almost to breaking point. The burnished warmth of Mary’s prayer has an almost Schubertian hushed reverence, while the reproachful dignity of “To Queen Elizabeth” veers into the smouldering grandeur of Mary’s many 19th-century incarnations on the bel canto operatic stage. For his part, Drake sculpted the excursions and vignettes of the piano writing into an extra dimension of the beleaguered queen’s character. 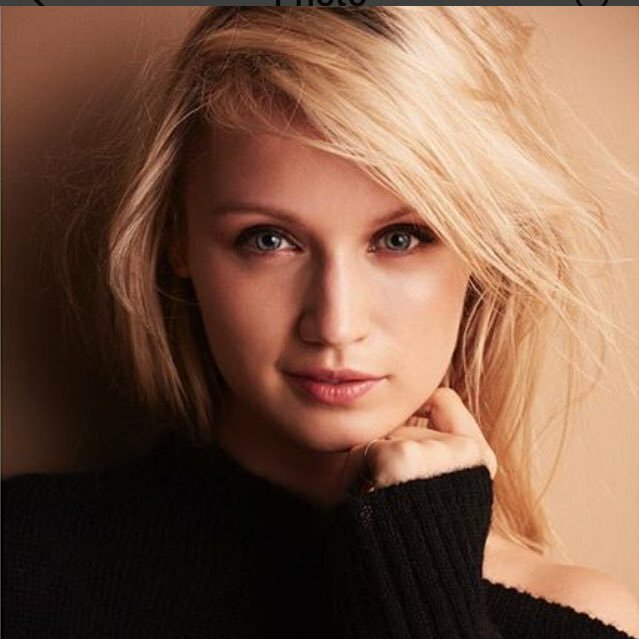 And Emily Berrington read appropriate chunks both of Schiller’s tragedy Maria Stuart, and other documents: at times, an enrichment of Schumann’’s music; at others, a slight distraction. Dating from 1974, soon after the posthumous publication of the novelist’s journals, Dominick Argento’s Pulitzer Prize-winning From the Diary of Virginia Woolf takes its cue from the inherent musicality of the writer’s prose. It presents eight sketches that together build into a dramatic monologue – or even, perhaps, a solo chamber-opera. The long-lived Argento, who died only last month, often set literary works by major authors. His writing here, in an eclectic and easily digestible 20th-century mode that never loses touch with traditional tonalities, cedes pride of place to the words. Clad now in a Jazz Age cocktail dress, after the severely regal black gown of the first half, Connolly spanned a vast range of emotion and expression in pieces that leap in mood between solemnity, mystery, anxiety and even frivolity. With the music changing to match the emotional climate of the words, from one ingenious piece of pastiche to another, the diary extracts run from waspish observation of a tea salon in Rome to irreverent thoughts at Thomas Hardy’s funeral, terror at the prospect of global war, and passages of existential bliss or dread when life strikes Woolf as “a little strip of pavement over an abyss”. Drake (pictured above) brought witty definition to every stylistic flavour that Argento lavishes on the accompaniment. Connolly’s interpretation lent a properly operatic scope and depth to Argento’s monodrama, from the panicky arpeggios that partner her horror of approaching “the edge of the precipice” in the Second World War to the shadows of mortality that fall across the music during Hardy’s funeral. Here, the voice dives thrillingly into a sort of contralto crypt. Interspersed with each musical segment, Berrington read separate extracts from Woolf’s journals, mostly on the theme of music and what it meant for her own creative process. These were fascinating, revealing, well-chosen (by the academic Kate Kennedy) – and, at the same time, disruptive. Although its chosen texts skip between periods and themes, Argento’s music does have a unified interior momentum. It builds towards the heart-rending poignancy of Woolf’s final diary entry prior to her suicide by drowning in March 1941. Berrington’s readings (the actor pictured above), though full of interest, dragged the centre of gravity away from Connolly and the work she was enacting with such vocal authority. They dissipated the tension and interrupted the drama. I wondered whether the spoken passages should not have stood alone and apart. Yet they did prove how perceptively Woolf always thought about the rapport between sounds and words, and how much (say) Wagner, Beethoven or the stubbornly self-sufficient example of her good friend Ethel Smyth meant to her. In the end, I hankered after an entirely distinct programme in which Woolf’s ever-illuminating words would sit alongside performances of a selection of works that she loved. That kind of bill, however, would call for resources beyond even the glossy sheen and dramatic impact of Dame Sarah’s voice – a kind of full-spectrum orchestra in itself. Add a string quartet, and the project might just about work. I remembered that, following Virginia’s cremation, Leonard Woolf went home alone to hear the piece she had always wanted to mark her passing: the cavatina from Beethoven’s Op. 130 quartet. After Connolly’s voice had fallen silent, perhaps we should have heard that.